Using General Purpose Staticide® can prevent damage of sensitive electronic equipment, components, and sub-assemblies during manufacture, shipping or receiving by reducing a static charge to zero volts. This solution inhibits charge generation on all surfaces it's applied to including tote boxes and carriers used to process and store electronic components. 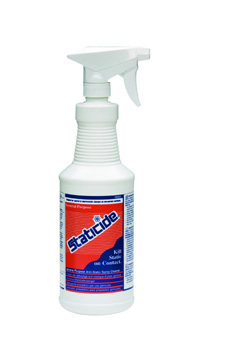 Using General Purpose Staticide® can also reduce dust, dirt, and bacteria attraction by removing the charge. Non-toxic and safe to use, this solution can be used in industrial, institutional, and commercial environments. Every Staticide® topical dilution is proven to be effective in relative humidity below 15%. One gallon covers approximately 2000 sq.ft. and will last from weeks to months, depending on the application and the material it's applied to. Staticide® topicals can be applied by spraying, wiping, dipping, transfer roller coating, gravure coating or flexographic printing.